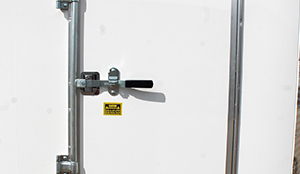 It’s important that when you use your enclosed trailer every day that it offers you the best in durability, reliability, and functionality, and CJay Trailers satisfies those demands in each Commercial Trailer that we manufacture. Size matters when it comes to hauling your parts, equipment, and goods. 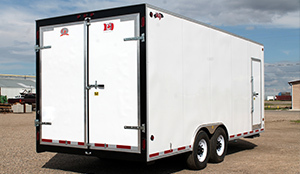 The Commercial Trailer Series offers a wide variety of axle capacities to carry the load and comes in enclosure sizes that will meet or exceed your needs. 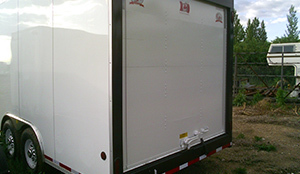 As a trailer manufacturer, we can attest to the quality that goes into the build of our cargo enclosed trailers. Which is why all of our trailers come with a five year structural main frame warranty. 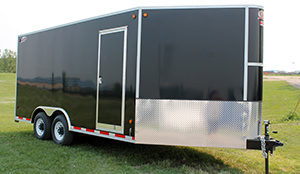 Only brand name components go into the build and procedures are in place to ensure every weld, assembly, and paint job is completed to make your enclosed trailer last for years to come. 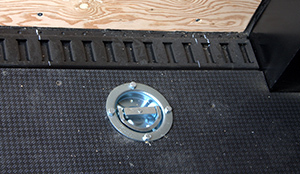 The underside of each trailer is covered with an automotive style rubberized undercoating material to extend the trailer life by protecting the mainframe, cross members, and the floor area. 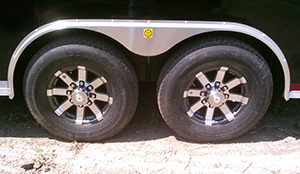 All materials used are carefully chosen to match the GVWR of each cargo trailer. Check our trailer manufacturing process for more information. 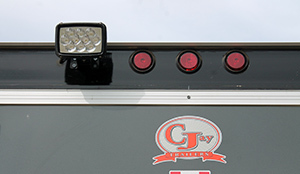 CJay Commercial Trailers can be customized to meet your exact needs. Whether you’re looking for a roll-up rear door, a durable Tread Extreme Floor, a v-nose front, a side door bar-lock, and more. 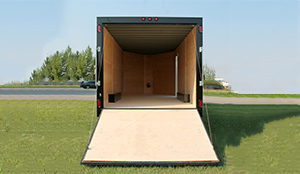 Commercial trailers can carry up to 14,000 lbs and measure to a maximum length of 20’ inside to fit all of your equipment. No matter which CJay enclosed trailer you choose, each trailer goes through a vigorous manufacturing process so it’s ready to get the job done for years to come. 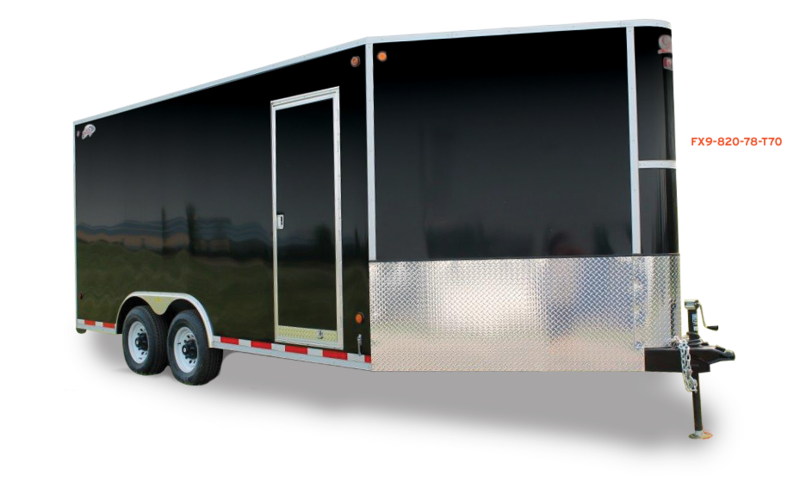 Have questions about our Commercial Trailers? 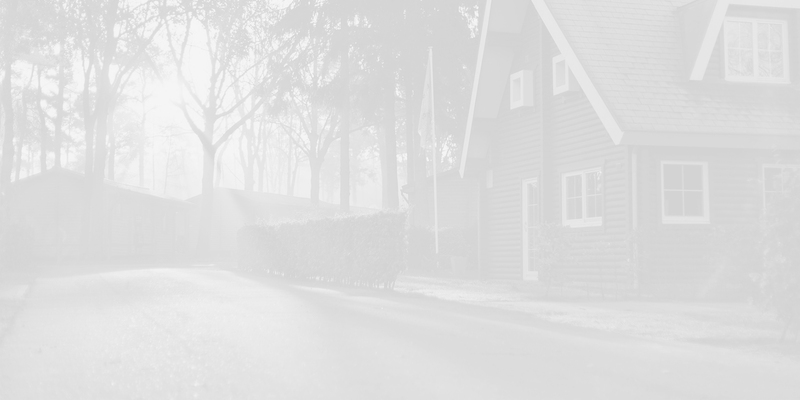 Request a quote or contact us for more information. Copyright ©2016 CJay Trailers Inc. All Rights Reserved. All contents including data and images may not be used without the express written consent of CJay Trailers Inc.